BEACHWOOD-We’re all familiar with the iconic dinosaur along Route 9 in Bayville, but soon, you won’t have to travel as far south to see one. 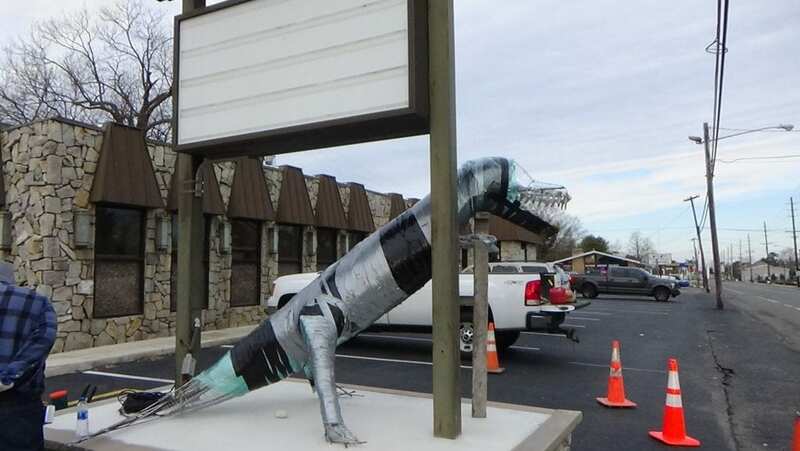 The owners of the Sandcastle Diner will soon have a concrete dinosaur at their doorstep, thanks to Mark Stanfeild, of Empire Masonry. Stanfield is constructing a new dinosaur at the Sandcastle Diner in Beachwood. He was the one who helped restore the original dinosaur just a couple miles south in Bayville.